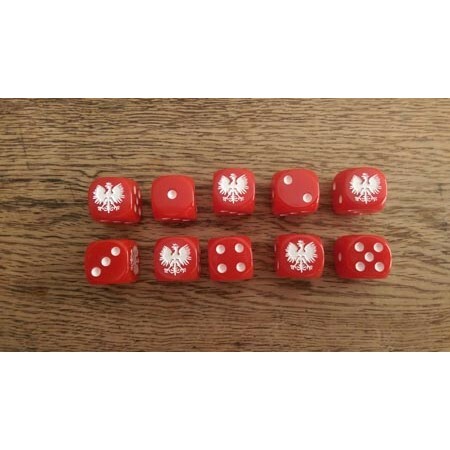 A Set of 10 - Duchy of Warsaw Dice with Dice Tin (16mm). 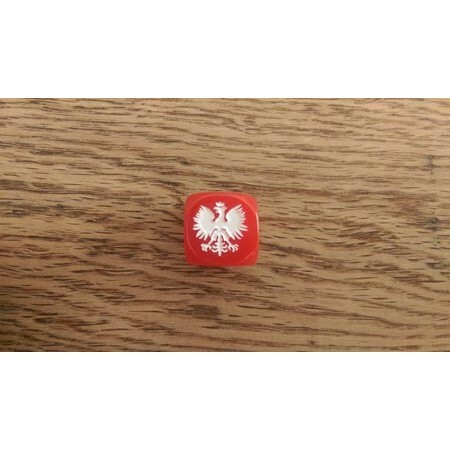 These custom designed dice have a white eagle ENGRAVED where the 6 would be. This printed metal dice tin is foam lined and has enough room for 3 sets of dice (32 - 16mm dice) with room to spare! The Nation Logo is put on via a high quality sticker. Surely you cannot hope to lose with one of these! Enjoy your enemies tears!